Not all revolutions are violent, and not all revolutionaries are led by extremists. 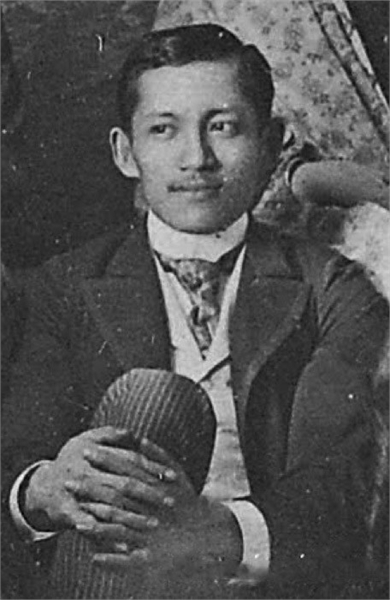 On June 19, 1861, one such peaceful Filipino revolutionary was born: José Rizal. After a dense, intellectual childhood of absorbing and succeeding in every study from language, poetry, and opthamology to architecture and fencing, he spent time living and learning abroad. He traveled all over Europe, Japan, Hong Kong, and the Americas, educating himself in various arts and sciences, mastering 22 languages, and falling in and out of love. By the age 31, he returned to Manila, already an enemy of the state due to the German publication of his novels Noli Me Tángere and El Filibusterismo, stories about Spanish colonization, corruption, greed, and the general anti-intellectual, anti-enlightenment impositions of the church. He was deported that same year to Dapitan, where he quickly set up a school and other basic institutions like a hospital, water system, and horticulture farms. He advocated for freedom of speech and assembly, equal rights for both Filipino and Spanish peoples before the law, and that the Philippines be made a province of Spain. While many of his contemporary Filipino intellectuals sided with him, the colonial Spanish authorities would not have it. Rizal believed in peaceful protest, but the violence of the brewing revolution happened regardless. 350 years of Spanish control bred deep unrest, and some saw no other way to achieve freedom except through armed revolt. The secret military society Katipunan officially adopted Rizal's ideals of Filipino identity and independence as addressed in his writing. As their honorary president, he was incriminated in the uprising. He was arrested on his way to Cuba to help patients with yellow fever and convicted for rebellion, sedition, conspiracy. The Spanish colonial government executed him on December 30, 1896. We know much about Rizal today because he was a dedicated diarist throughout his life. Many of his friends kept his correspondences of letters and sketches, which were returned to his family after his death. The Philippines declared independence from Spanish rule on June 12, 1898. For more on Rizal’s storied life and the Filipino revolution, read The Indolence of the Filipino and the Reign of Greed by José Rizal, Lineage, Life and Labors of José Rizal by Craig Austin, and The Philippines Under Spanish and American Rules by C.H. Forbes-Lindsay.